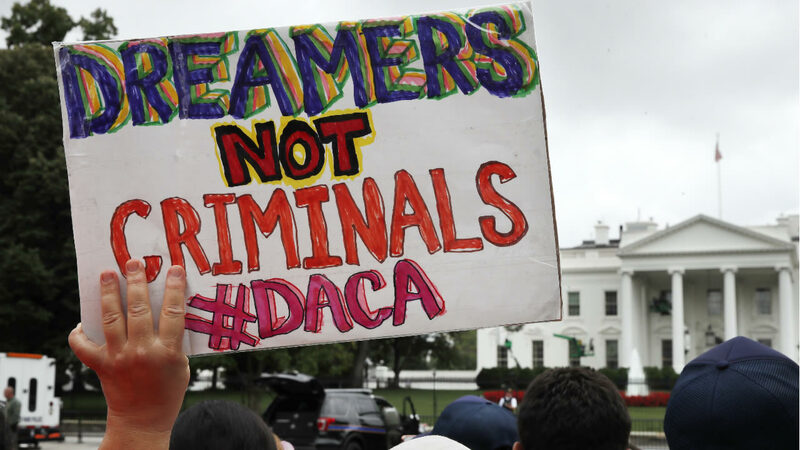 WASHINGTON -- The White House said that a decision on the future of the Deferred Action for Childhood Arrivals (DACA) policy, which temporarily protects some undocumented immigrants who arrived in the United States as minors, will be announced on Tuesday. The program, initiated under former President Barack Obama in 2012, allows individuals who entered the U.S. prior to their 16th birthday to register to remain in the country, provided they pay a fee and meet certain requirements related to their education and criminal record. Those accepted under the policy -- known as "DREAMers" -- may stay for renewable periods and are eligible for work permits. Asked Friday if those who are currently protected by the program should be worried, the president responded: "We love the DREAMers. We love everybody." Earlier in the day, Trump said a decision could be made Friday or this weekend, though he later specified Saturday, Sunday or Monday at the "latest." White House press secretary Sarah Sanders eventually assigned Tuesday as the date for an announcement during Friday afternoon's press briefing. Click here for more stories, photos, and video on immigration.